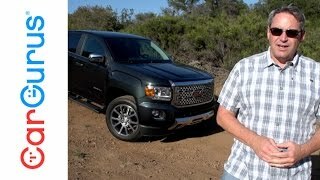 GMC finally has added the top most trim of its Canyon truck with the GMC Canyon Denali 2017. The inclusion thus ends up all the rumors and the luxury with power is finally out. 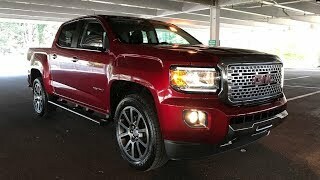 Looking at the model anyone can easily notice the upscale exterior and luxurious interior but let us have a closer look through the review of GMC Canyon Denali 2017 to know in details about the specifications and performance figures of the new release. The interior of GMC Canyon Denali 2017 is a luxurious blend of leather and contrast French stitching. It is equipped with leather front seats featuring heating and ventilation while the headrests come with Denali logo stitched on them. You can notice the classic wood accents over the center console and door panels giving a mesmerizing touch of luxury to the interior. Part from wood and French stitching there is also aluminum trim over the steering wheel spokes and center console. The interior isn’t just about the looks but it also features upgraded technology. Over the dashboard you can notice eight-inch touchscreen featuring both Android Auto and Apple CarPlay with 4G LTE Wi-Fi service. Before concluding I would also like to bring into the list the features like automatic climate control, heated steering vehicle and remote vehicle start. 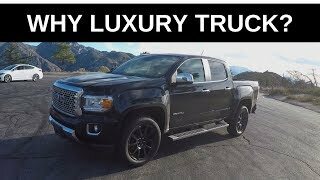 In all the interior details of GMC Canyon Denali 2017 brings in everything that can make you feel luxurious. The exterior of GMC Canyon Denali 2017 has many visual upgrades. Starting with the front fascia the model is equipped with bright mesh grille with red GMC lettering in its center. Both the corners are mounted with HID headlights that come integrated with LED daytime running lights. Beneath you get fog lights and tow hooks standard with your model. Moving towards the rear end you’ll find the mirror caps adorned with chrome accents and the same saga moving ahead to the door handles and side steps. The rear end has bumper with chrome accents while the rest remains something that you have already seen. 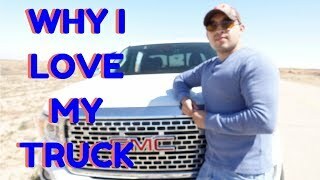 In all the exterior details of GMC Canyon Denali 2017 can be concluded by saying that rolling over the all new set of 20-inch wheels the model looks marvelous. 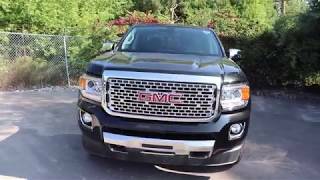 Beneath the hood of GMC Canyon Denali 2017 are two powertrain options featuring a 3.6 liter V6 engine and a 2.8 liter Duramax turbodiesel as an option. The truck also comes standard with 2WD but with an option to have 4WD equipped. Both the engines crank total output of 305 hp and 181 hp respectively and peak torque of 500 nm and 365 nm respectively. Both the engine come paired to six-speed automatic transmission as standard with no manual option in list. The performance figures of GMC Canyon Denali 2017 are not yet shares and we expect to have them in near future.